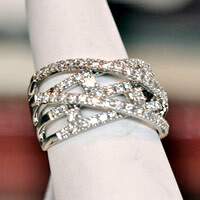 View our collection of custom designed rings. All Jewelry featured in this section can be re-created or modified to your specifications. For ordering information please contact us by phone or complete our contact form. 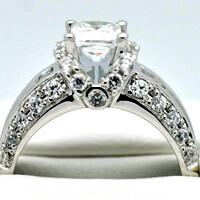 View our collection of custom designed bridal rings. All Jewelry featured in this section can be re-created or modified to your specifications. For ordering information please contact us by phone or complete our contact form. 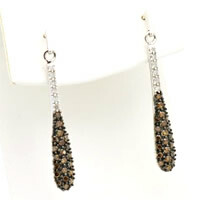 View our collection of custom designed earrings. All Jewelry featured in this section can be re-created or modified to your specifications. For ordering information please contact us by phone or complete our contact form. 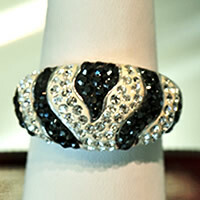 View our collection of custom designed crystal & hematite jewelry. All Jewelry featured in this section can be re-created or modified to your specifications. For ordering information please contact us by phone or complete our contact form.